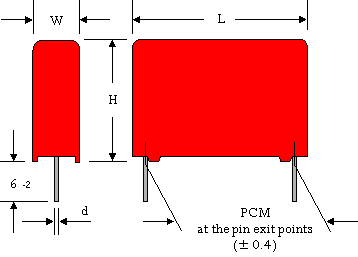 WIMA MKS 4 Metallized Polyester (PET) Capacitors. 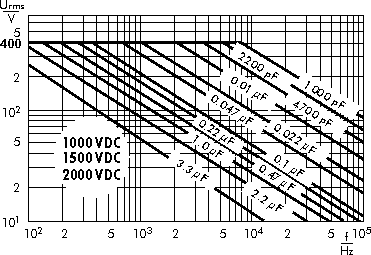 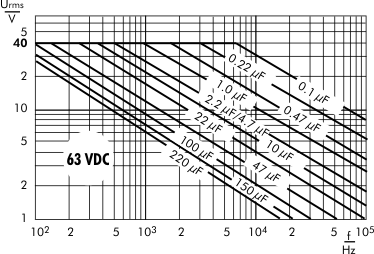 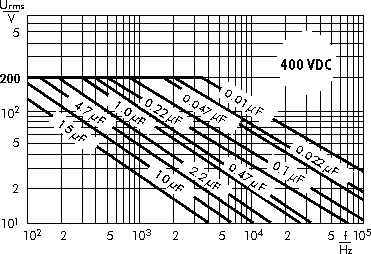 Capacitances from 1000 pF to 680 µF. 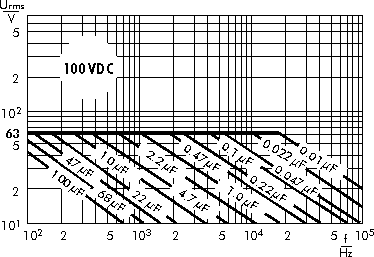 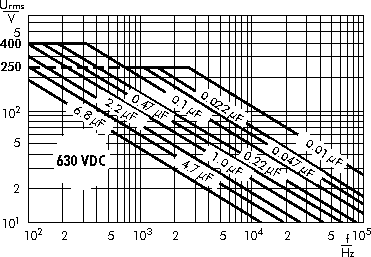 Rated Voltages from 50 VDC to 2000 VDC. 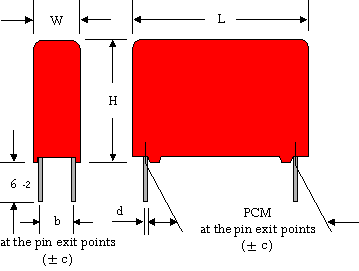 PCM 7.5 mm to 52.5 mm. 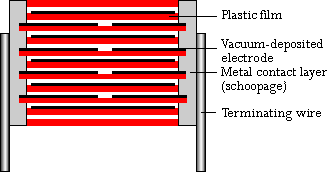 Voltage derating: A voltage derating factor of 1.25% per K must be applied from +85°C for DC voltages and from +75°C for AC voltages. 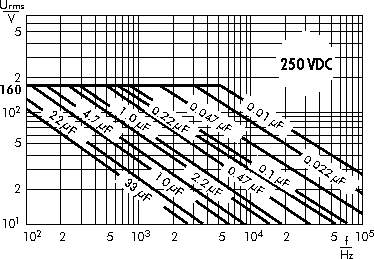 * Admissible AC voltage 250VAC max.